Since today's earlier review was of a fabulous highlighter I figured we can also talk about a highlighting brush, Hakuhodo J5521. 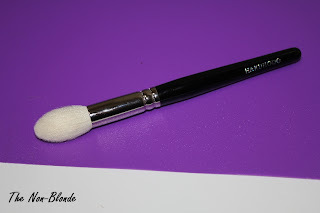 The timing is especially fitting because Hakuhodo J series is exclusive to trade shows and I know some of you are going to attend IMATS Los Angeles this weekend, where you can purchase this brush and a lot more. Hakuhodo J5521 Highlighter Brush is the goat hair version of G5521 (which is made of squirrel). 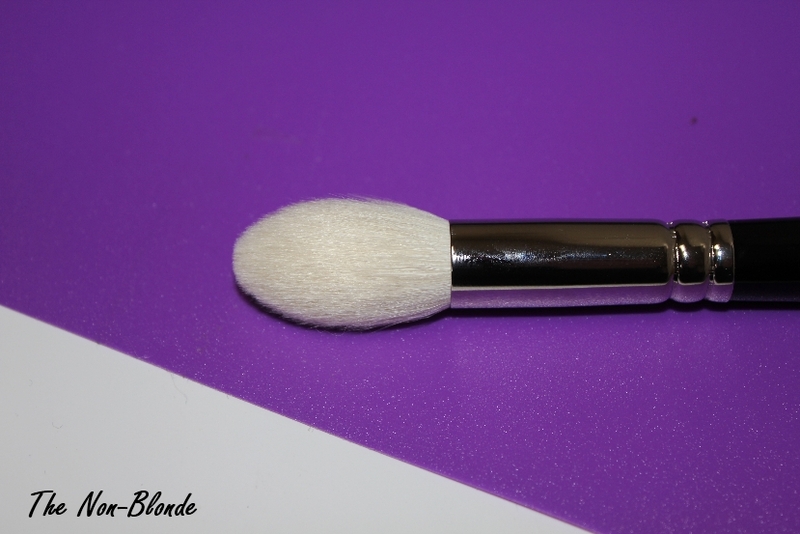 It's a beautiful bouncy brush with an elongated shape and a tapered pointed tip. It's much denser than the cute G5537 and G5538, so it requires a lighter hand; the shape makes the J5521 much more precise and directional, fitting for a very sculpted look (you can also use it for contour, as long as you really work at blending). 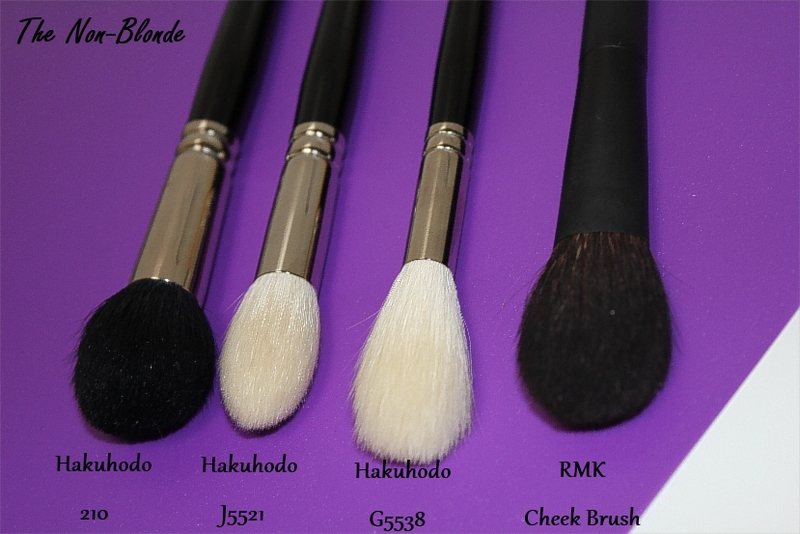 Hakuhodo offers quite a few highlighting brushes in various shapes, sizes and materials. 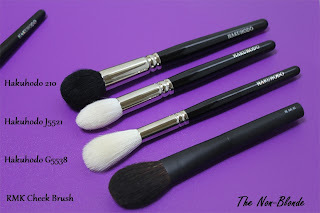 I have a very soft spot for these brushes because they're on the small size, yet can multitask wonderfully as they apply and blend colors both on the cheeks and eye areas. Flat highlighting brushes are mostly used for patting the product on the skin, while round shapes are good for buffing and blending. The pointy tip of J5521 gives you the ability to get into smaller spaces such as around and along the nose and chin. Hakuhodo J5521 Highlighter Brush can only be purchased in person at a makeup trade show. Its equivalent from the regular collection is G5521 ($34). Oh, I like the shape! Hi Gaia, which one do you prefer -- the J5521 or the G5521? And if I already have the S103 and S114 would this be duplicative? Thank you.